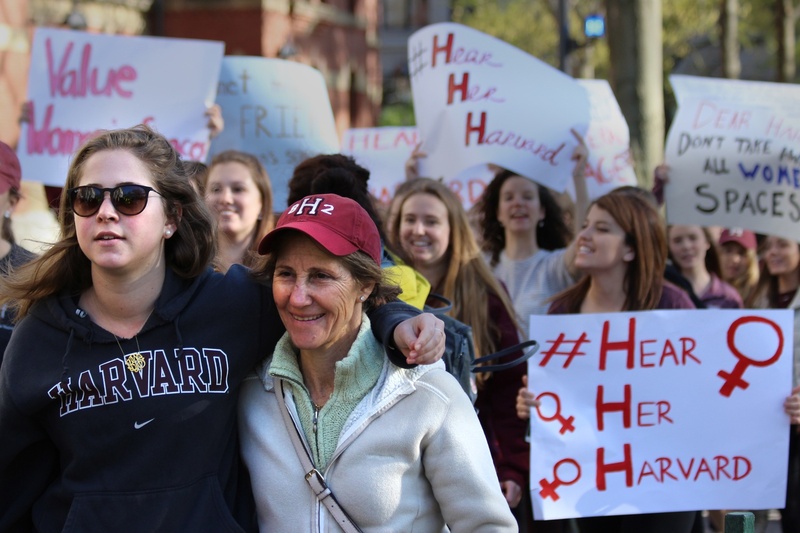 More than 200 women rallied in front of Massachusetts Hall to protest the social group policy in May 2016. 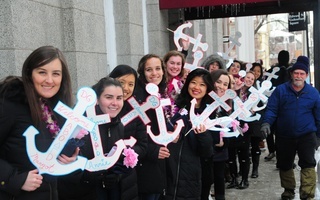 UPDATED: December 12, 2017 at 8:35 p.m.
Three sororities at Harvard will host a recruitment process open to all freshmen women next semester, reaffirming their membership status after Harvard finalized its penalties on members of single-gender groups. In a joint statement titled “We Believe Women Should Make Their Own Choices,” Alpha Phi, Delta Gamma, and Kappa Alpha Theta wrote that they will be conducting rush next semester. Denouncing Harvard’s penalties on members of single-gender groups, the statement argues that the sanctions will undermine the choices available to female students on campus. 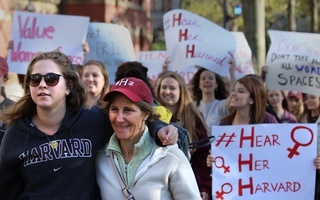 “While Harvard’s sanctions claim to support women’s right to make their own decisions, these sanctions actually force women to choose between the opportunity to have supportive, empowering women-only spaces and external leadership opportunities,” the statement reads. Harvard’s chapter of Kappa Kappa Gamma was the only sorority on campus absent from the statement. Earlier this semester, the group considered shuttering if the College went through with the penalties. 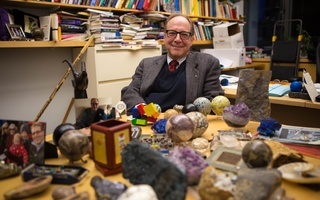 The College’s social group sanctions prevent members of single-gender final clubs and Greek organizations on campus from holding student group leadership positions, varsity athletic team captaincies, and from receiving College endorsement for prestigious fellowships. 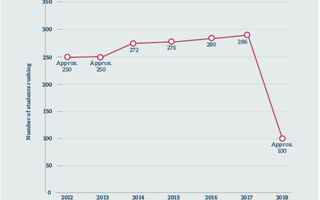 University President Drew G. Faust first introduced the penalties in May 2016, and the Harvard Corporation voted to retain the policy last week after a year and a half of heated debate. In an interview last week, Dean of Harvard College Rakesh Khurana said that plans to enforce the policy will be released before the start of spring semester, when recruitment for sororities begins. 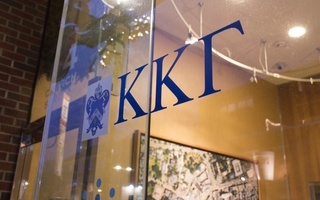 A previous version of this article incorrectly indicated that Kappa Kappa Gamma considered shuttering last semester. In fact, the group considered shuttering earlier this semester.